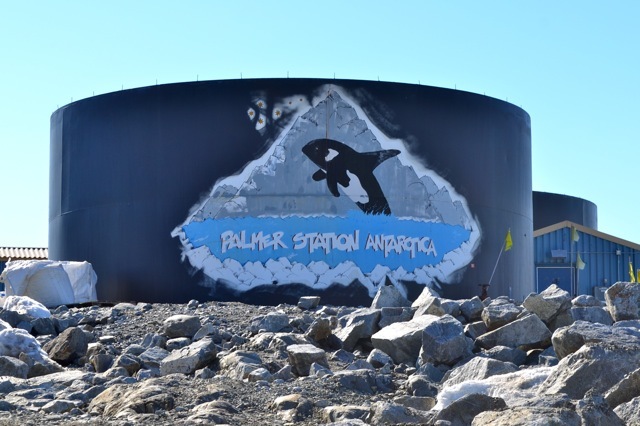 After visiting the penguins on Torgersen Island, I had the opportunity to visit one more place at Palmer Station. The glider robotics lab! Dr. Oscar Schofield and his team work with many different types of technology to study the ecosystem in Antarctica. 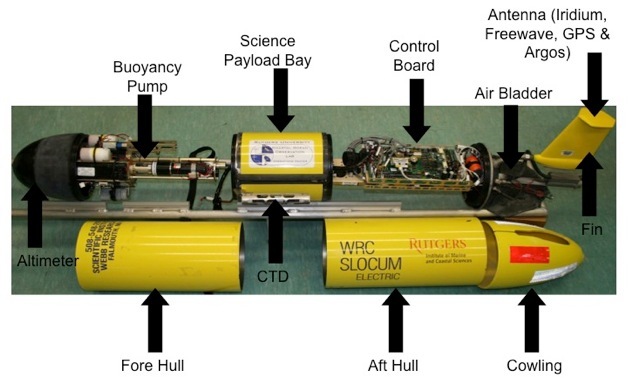 One of the coolest ones, I think, is an autonomous underwater vehicle (or AUV) glider. Dr. Schofield’s team is from Rutgers University in New Jersey. 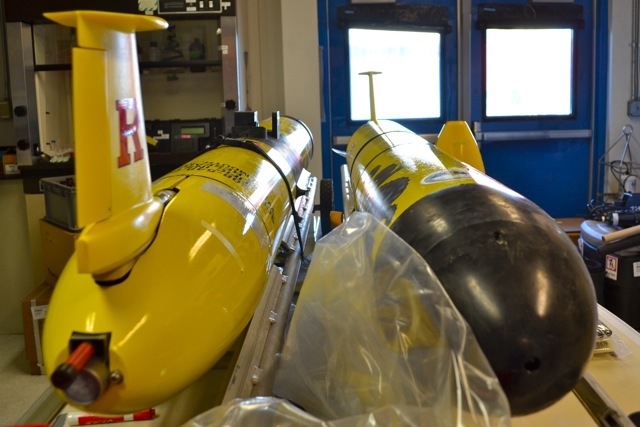 They use these battery operated AUVs to complement shipboard measurements because it’s very challenging to sample and survey this entire region by ship. That’s where the gliders come in! These robots are programmed by the scientists to fly through the underwater canyons like a torpedo. Scientists give them specific coordinates similar to a GPS which tell them where to go and what to sample. 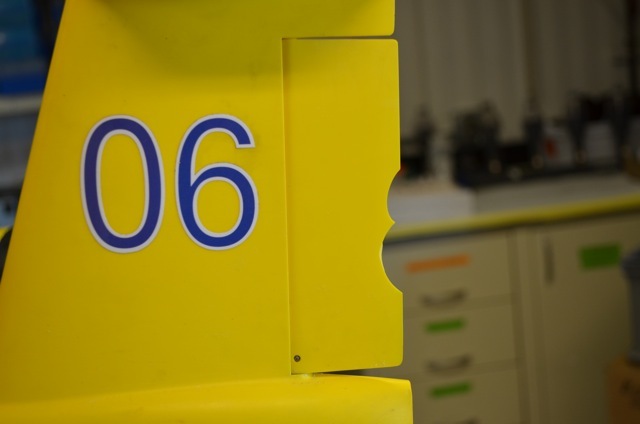 They are also equipped with sensors in the payload which record things like water temperature, salinity, sea ice conditions and even phytoplankton – tiny little algae, freely floating in the water. All the data is recorded on memory cards inside the glider which can be downloaded when it surfaces or checked live, via satellite if the scientists want to reprogram its direction and give it a new mission. There were two gliders in the lab when I went to visit, and two additional gliders already out on a mission collecting data in the ocean. You wouldn’t believe this, but one of the gliders in the lab needed some repairs because it had been bitten by a leopard seal! Once it gets a new tail, it will be deployed from Palmer Station to study the area before the LMG will pick them up in a couple of weeks. I’ll be sure to capture all of that for you. It was really neat to see the gliders firsthand, and I’m excited to learn more about them on the trip. After this quick visit, it was time for me to leave Palmer Station and begin the hard work of collecting data out at sea. We’ll be back to Palmer Station in about a month but for the next couple weeks I’m out to sea sampling from the LMG! 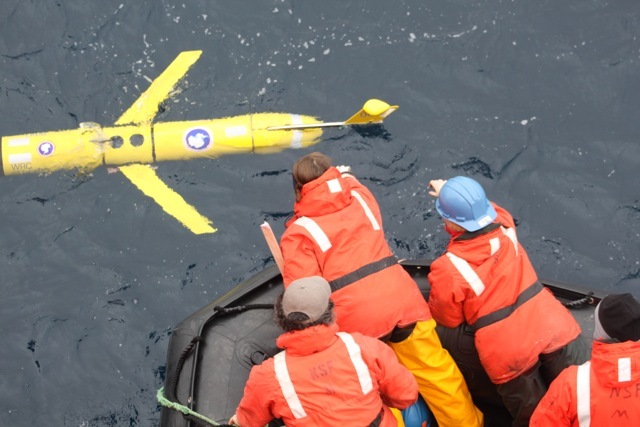 This is not the first time Aquarium scientists have used gliders to study marine animals and ecosystems. Click here to see how the right whale researchers eavesdropped on their subjects in the Northern Atlantic ocean. 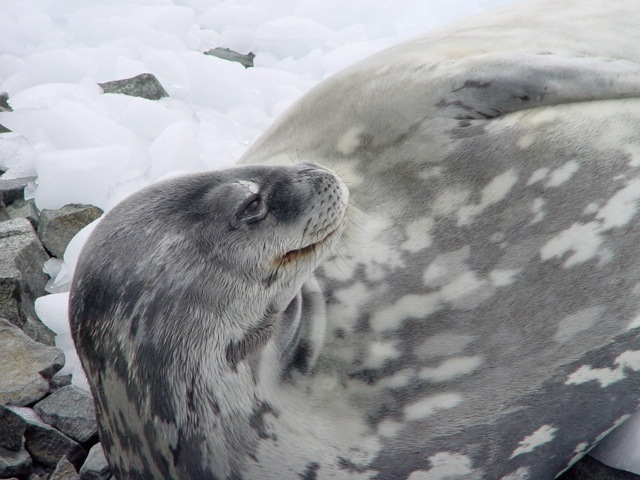 All of this is fascinating, but the leopard seal incident is so funny. Hi Jo! Just fyi that's a Weddell seal not a Lep. Love the blog! Hope you have a good rest of your cruise!